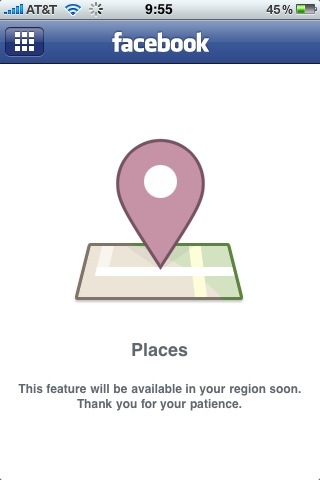 There seems to be much excitment about the launch of Facebook’s location service in the UK. Twitter is full of it, and most of the social media/digital news sites are mentioning it. And it all seems to be quite positive. There are the continued privacy issues, but it looks like location is catching user’s imagination. The addition of location into Twitter hasn’t caught people’s imagination in the same way. Comments like ‘what’s the point’ shows that it looks like a bit of an after thought on Twitter’s part. ← iPad subscriptions- are Apple getting too greedy?